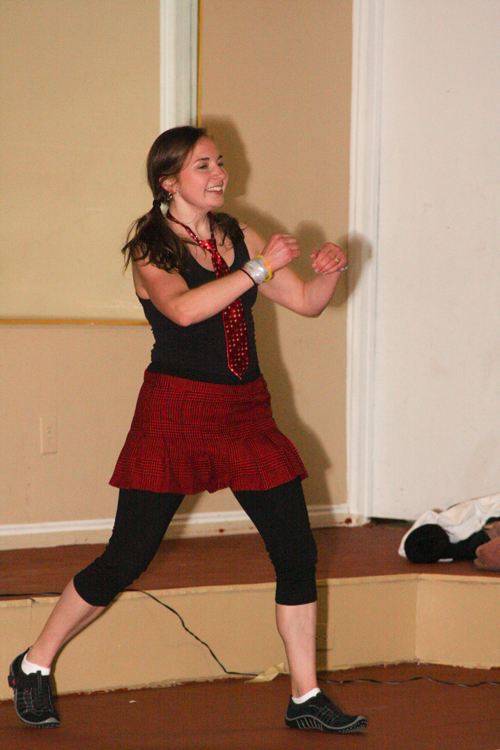 Vampire, Werewolves, and Zumba–oh my! One of my friends (Melissa) got me a ticket to the 12:20 a.m. showing of New Moon the day it was released. After I agreed to go I had serious second thoughts because, um, who is it that’s always dead tired by 9 p.m.? Oh, yeah–that would be me. But as it turned out I had no trouble staying awake, even though I was tired. 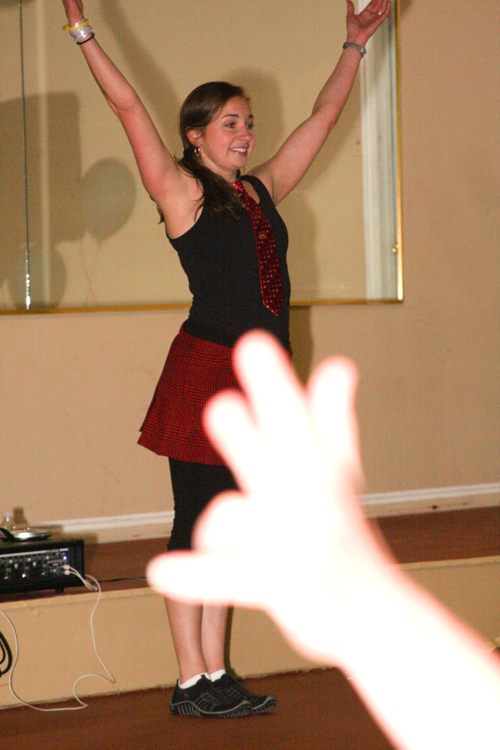 Maybe it was the adrenaline from Zumba mixed with the anticipation of seeing my boyfriend, i.e., Edward. In any case, I was alert the whole movie and the drive home. The night started with my Zumba class in Lehi at 8 p.m. I used two songs from the “Twilight” soundtrack to get us in the mood, plus I wore my vampire shirt. I used it to experiment with t-shirt cutting. 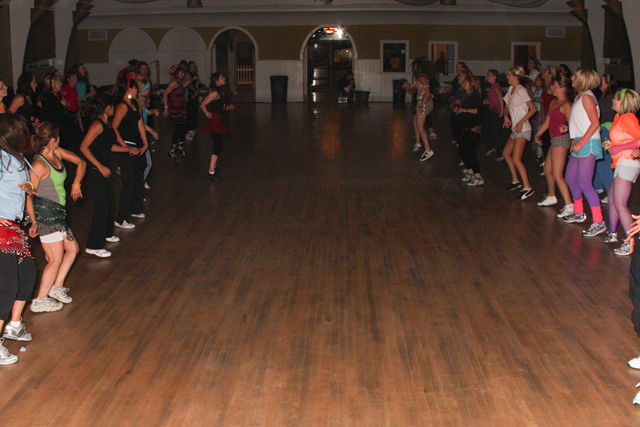 Zumba was insane that night. Usually when I get to class there are a few people lined up outside, waiting to go in once the class before ours is finished. But when I got there Thursday night about twenty people were already in line. 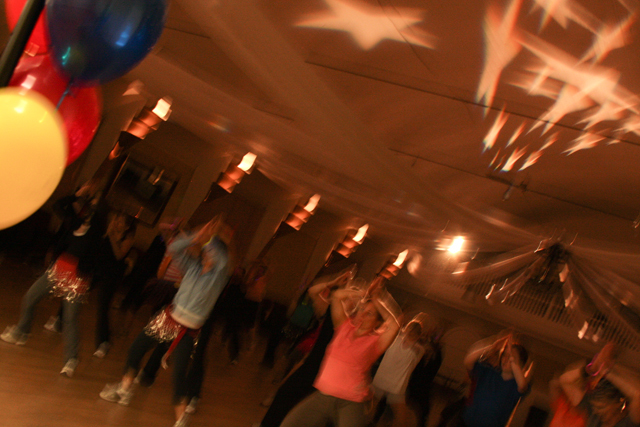 The facility puts a cap on the number of people allowed in to Zumba, but we exceeded it. The front desk sent someone up to ask me if they could let more people in even though there weren’t any more passes. I let them in. Everyone had fantastic energy and we had a good time. Melissa’s in my Zumba class, and afterwards she kindly let me into her home to shower (since I live 20 miles away). We headed to Chili’s for a late dinner wiith her sister- and mother-in-law. 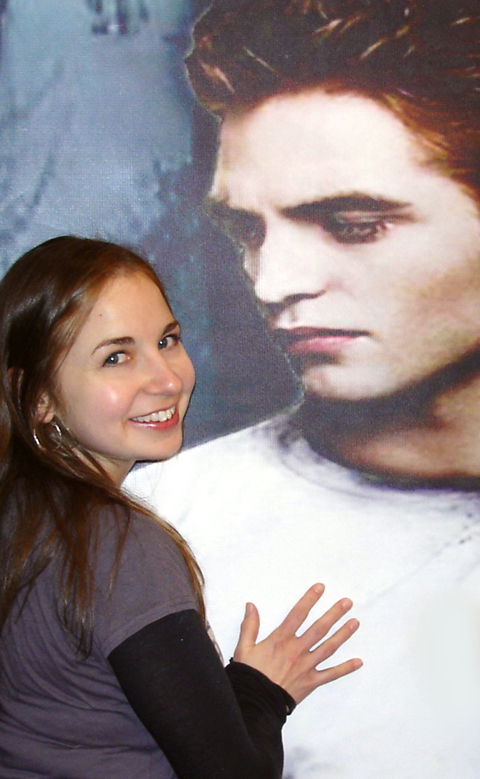 We each wore a Twilight shirt for the occasion to appropriately profess our love (we have the same boyfriend). We had a few minutes to pose with our boyfriend. And with our boyfriend’s rival, Jacob. About the movie…it made me like Jacob a lot more. But I may have been a tiny bit swayed by his rockin’ body. And I’m not even shallow like that. I thought the movie was funny and entertaining. Unless I was drugged over with fatigue and just thought it was a good movie. I think I would see it again. Melissa and I agreed that the only real downer about the movie is that we see Jacob walking around for half the movie shirtless (see “rockin’ body,” above). And then near the end Edward takes off his shirt and…well, it didn’t really compare. At all. But we’ll still take Edward over Jacob. Did anyone else see New Moon yet? 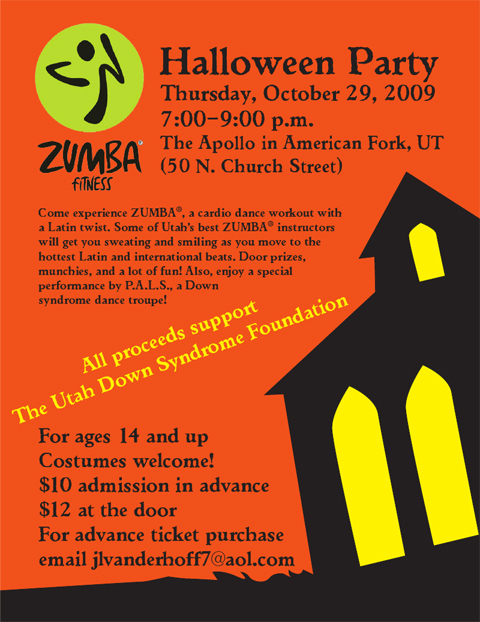 I helped organize a Zumba Halloween party that raised money for the Utah Down Syndrome Foundation. The party was on October 29th. The first hour was all Zumba (in 20-minute segments taught by three different instructors), then we broke for a dance performance by P.A.L.S. (a dance troupe of young adults with Down syndrome). Following that, I taught my 20-minute segment, we drew some names for prizes, and then we did 20 minutes all-request Zumba. Around 75-100 people came, many in costume. In spite of the heater not working and it being about 40 degrees outside, the event was a success. 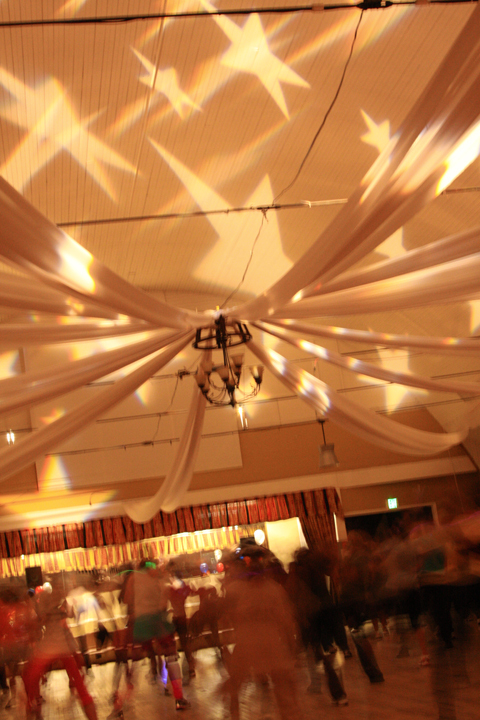 For a first-time effort at organizing a fundraiser, it turned out well. And I learned a lot. One thing I’ll do differently next time is not agree to teach three back-to-back Zumba classes the same day as the event, because by the time it was my turn to teach my body was like, “Three hours of exercise is enough. I quit.” It was fun anyway, but I was tired. I just got back pictures from the event taken by our talented photographer, Tabitha Davidson (check out her photography Web site). We held it at The Apollo in American Fork. The lighting was cool. 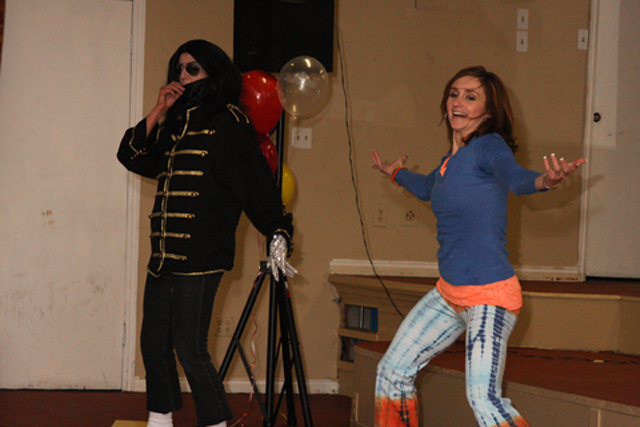 Desree taught the first segment, and we had a surprise visit from Michael Jackson! And Laura. I didn’t even recognize her when I arrived. Nice wig, Laura! I was supposed to be a schoolgirl. The last song I taught was a booty battle. My classes love booty battles. We divide the room in half and face off. One side does a move, then the other side does the same move, trying to best them. There is much booty shaking and smack talking. So if you’ve been looking for a new workout class, especially once the new year hits, come check it out. Sort of bad news. I guess it depends on how you look at it. I’ve had four miscarriages this year. Four miscarriages is not usual, especially not four in a row. But hurrah for insurance, which will cover 100% of the recommended tests. Without insurance each test would be $250-$570, and there are eight of them. If any of you have had recurrent miscarriages and actually found out what the problem was let me know. On the bright side, I like not being pregnant because I can enjoy teaching aerobics and Zumba without the inconvenience of morning sickness, varicose veins, or a big belly. Speaking of which, I’ll be teaching a new Zumba class in Springville at the Academy of Ballet (200 South Main) tomorrow (Thursday Nov. 12) at 8 p.m. Cost is $3.50. I’ll also be teaching another 8-week Zumba session starting in January 20th on Wednesdays at 8 p.m. My current session just ended last night. I gave my class a survey at the end to see how to make it better next time. They were a subdued class, so it was hard to tell how into Zumba they were. Turns out they loved it and only wished they could make the class longer than eight weeks. I’ve lost weight since I started teaching Zumba/aerobics last year. I’ve gone down about a size in both pants and shirts. So I have all these old t-shirts and tank tops that I used to workout in that I never wear anymore because they’re baggy. This week I pulled out one of my old tank tops and took a scissors to it. First I cut off the straps in the back and tied the straps together behind the neck (halter top fit). Then I cut straight down the back and took out a few inches of material to make the shirt less baggy. I saved the material to use for ties. I punched holes down the back side and used the extra material to tie the shirt back together. It was a good practice attempt. I’m going to try it again on another shirt I actually like. If it turns out well I’ll post pictures. Have any of you done this before? 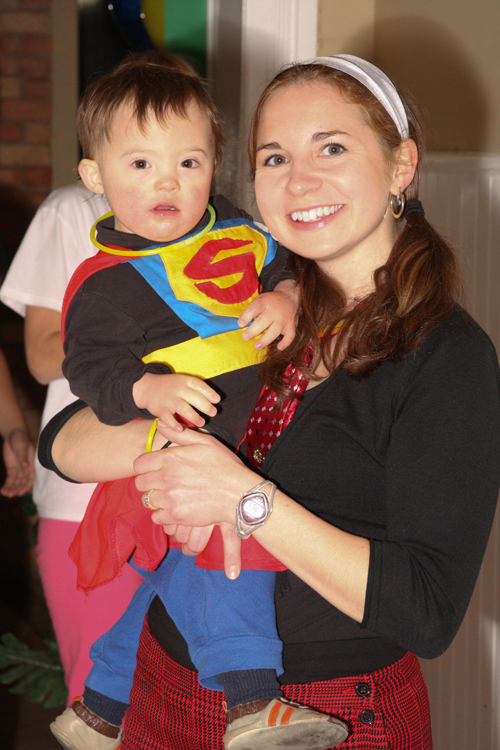 Iâ€™m helping to organize a fundraiser for the Utah Down Syndrome Foundation. 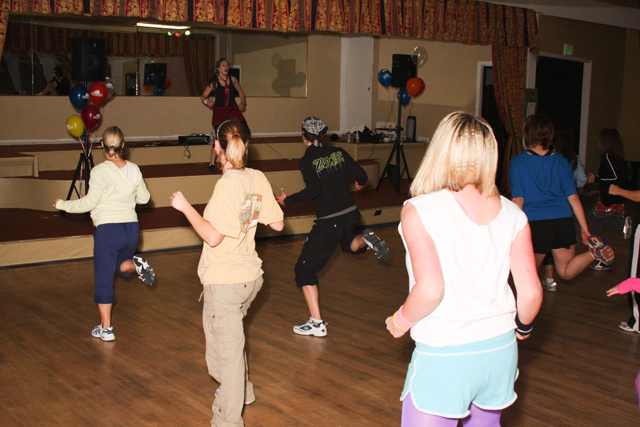 It will be a two-hour Zumba party with a Halloween theme. 2) Companies frequently lose your faxes and forget to return your phone calls. 3) But when companies do help you out, they really help you out. Our terrific printer donated $200 worth of gorgeous color flyers and posters to help us get the word out about the party. We never could have afforded that. If you live in the area, plan to come! Four terrific instructors, giveaways, food, fun, and Zumba in costumes! 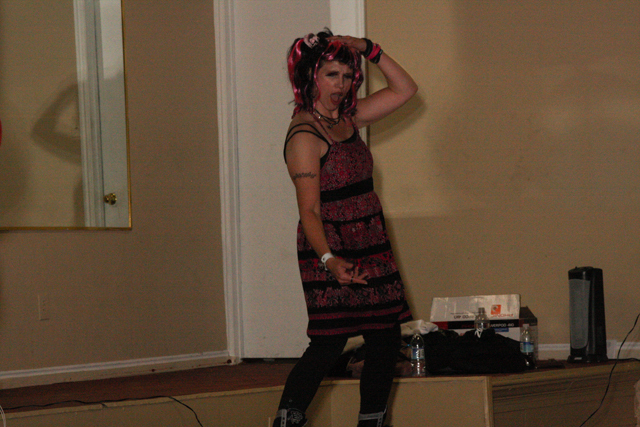 I’m often dancing around the house, practicing for the Zumba classes I teach. Just this week Wes has found his own dancing feet. July 4th was the Freedom Run 5K race. Earlier this year, when I was pregnant, I was bummed because I had been looking forward to running again this summer but knew I wouldn’t while pregnant. Having a miscarriage fixed that, and I started running again in March. Last year’s Freedom Run was my first ever 5K. Last spring I trained HARD to go from zero running experience and ability to being able to run 3.1 miles without walking. I followed the “From Couch Potato to 5K” training plan (look for it online). It took a lot of sweat and time and effort, but it paid off and I was able to run the entire 5K last year at 29:34. That was 39th in my age division for women, 180th overall for women, and 564th overall. This year was different. 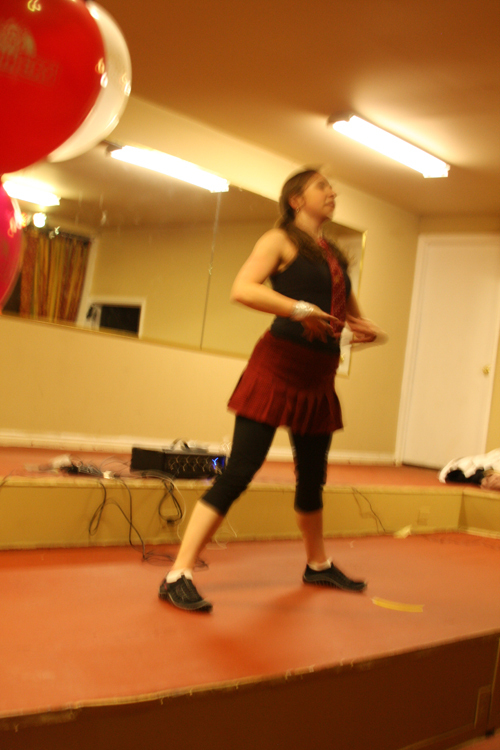 I’m frequently busy teaching Zumba and preparing for upcoming Zumba classes. Making time to get out and run was tricky. I didn’t train hard like I did last year. But–and I was totally surprised to discover this–I didn’t have to. This year I’m in so much better shape (I guess thanks to teaching aerobics) that the very first time I hit the pavement in my running shoes I could trot along without any trouble for the entire three miles. WAAAAY different from last year. So any time I went out to run this spring was less like training and more like practice, just to make sure I could get through the 5K on race day. My goal this year was just to have fun, and run the whole way, and hopefully get a better time than last year. Check. I was actually smiling during a lot of the race. I was enjoying it. This was a big difference from last year’s race, where I felt like throwing up and really struggled to get through it (although I did). 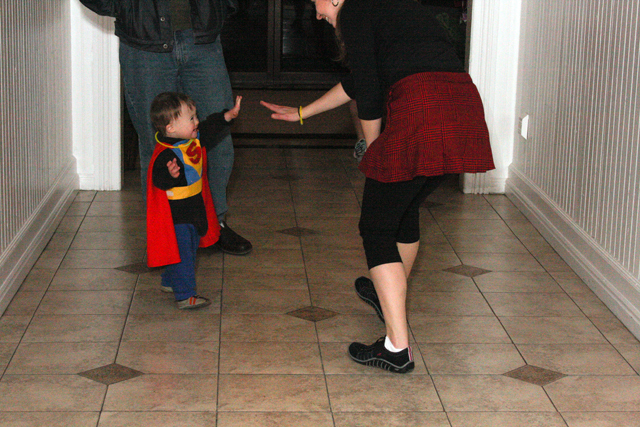 Also, my little brother Matt was running the race with me, and it was fun to have a running buddy. Check. Definitely in better shape this year than last. Thank you, Zumba. Check. Official time was 28:59. That’s 31st place in my division, 180th place for women, and 583th overall (out of 2018 finishers, and 1144 of them women). My time and my division placing was better than last year’s. I placed exactly the same this year for women as last year, and I actually dropped in my overall finishing placement. Still, for a pleasant Saturday morning jog, I can’t complain. The best part was at the end when they gave us all free water bottles that you could take to volunteers who would pump them full of Gatorade out of these giant blue buckets. There is nothing better than ice cold Gatorade after a race, except maybe the satisfaction that you finished the race and had fun doing it. Running still isn’t my favorite thing to do, but I like the feeling of accomplishment it brings. I think I’m going to go back to step aerobics this week and give running a rest for a while. I miss aerobics.